What are people’s favorite things to do here? Why is Durham called Bull City? How did you end up in Durham? Those were a few of the many questions I had while arriving at a city I knew little information about other than a brief overview from Wikipedia. So, how did I end up there then? I had the opportunity to travel to Durham, North Carolina for a multimedia workshop hosted by Big Shed at the Center for Documentary Studies (CDS) in March 2011. Given a two day notice that I could attend, a flight was booked, housing arranged, and I flew 2,643 miles to the East Coast where I would cross paths with individuals that kindly shared part of their life story with me. It turned out that I would learn more than just multimedia on this trip. Thanks to the friendliness of strangers who have become friends my questions would soon be answered and I would learn from the simple layers of everyday life – stories of shrimp farming in Ecuador, a man’s travels throughout the United States, the sensation behind jazz. I’m going to miss the community atmosphere that welcomed me and my curiosity, but through the stories and voices that were recorded, I’ll always have something to turn to that brings a slice of Durham home. This is the first installment of the series, which is an experiment in sharing and learning from personal knowledge through solely collected sound. Scroll down to start listening and to read travel tips. I hope you enjoy. 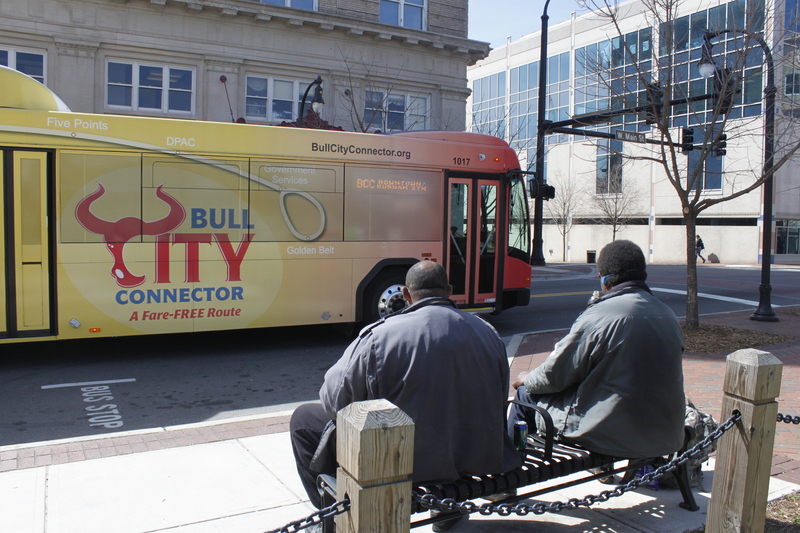 Bull City Connector – A free bus route running from downtown Durham to Duke’s East Campus. The BCC is a collaborative transit project between the City of Durham and Duke University that began running in 2010. It comes every 15-20 minutes depending on weekdays/weekends. However, it does not run on Sundays. Click on the link to see a map and schedule. Charlene’s Safe Ride – A locally run taxi service for any occasion. Pre-arranging online can give you direct pick up from the RDU airport to Durham for $25. I found the service to be reliable, friendly, and on time. If you’re visiting, talking to to your driver is a great way to find out about what to do in town. Blue Coffee Café: A good place for a quick as well as inexpensive bite. Good selection of coffee, pastries, and friendly service. Stop by for Friday Night Jazz ($5 cover charge). 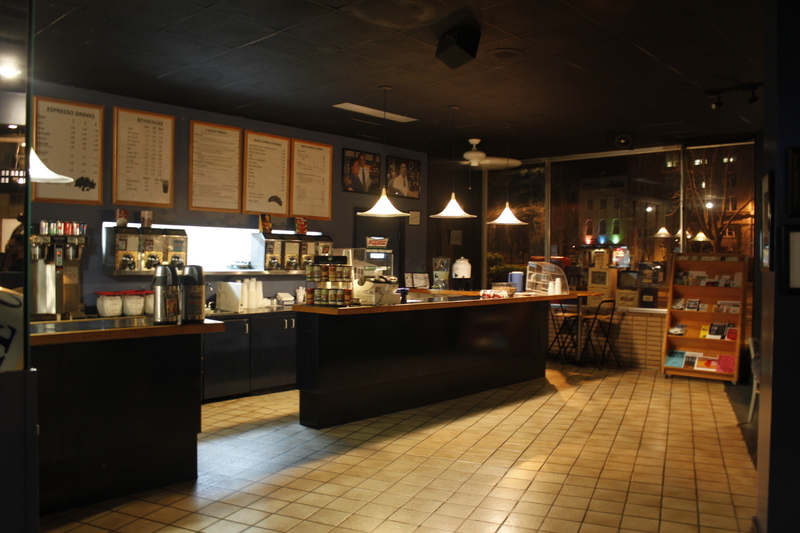 Beyú Caffé – Also located in downtown Durham on West Main Street, this eatery is open every day of the week. Opened by a former Duke alumni, it’s a great spot for coffee, drink, food, and long conversations. 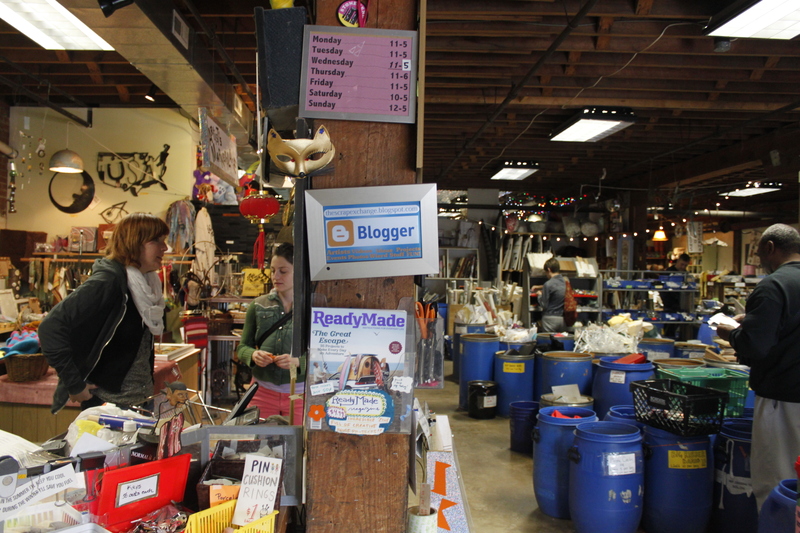 The Scrap Exchange – If you’re a crafter or a collector you’ll enjoy this shop. The Scrap Exchange accepts donated materials and has bins full of supplies ranging from fabrics, floppy disks, and bottle caps to more strange items such as plastic speculums. The Scrap Exchange also holds events and offers classes. 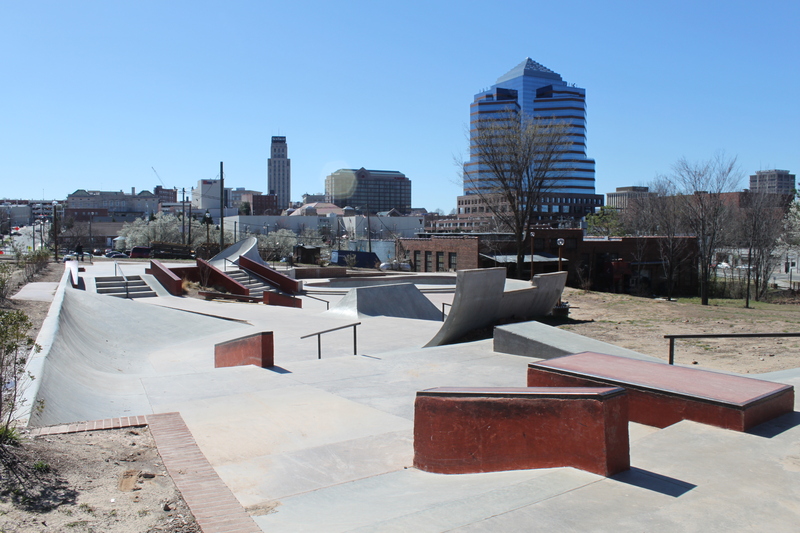 Durham Skatepark – Located North of Downtown at Durham Central Park. The park opened in November 2009 and offers a great range for pool and street skaters. Features include a pool in the back, taco shell, ledges, rails, a 3,4,5 and 8 stair. Pads not enforced. The park is not crowded during mid-day on weekdays and it is open from dawn to dusk. 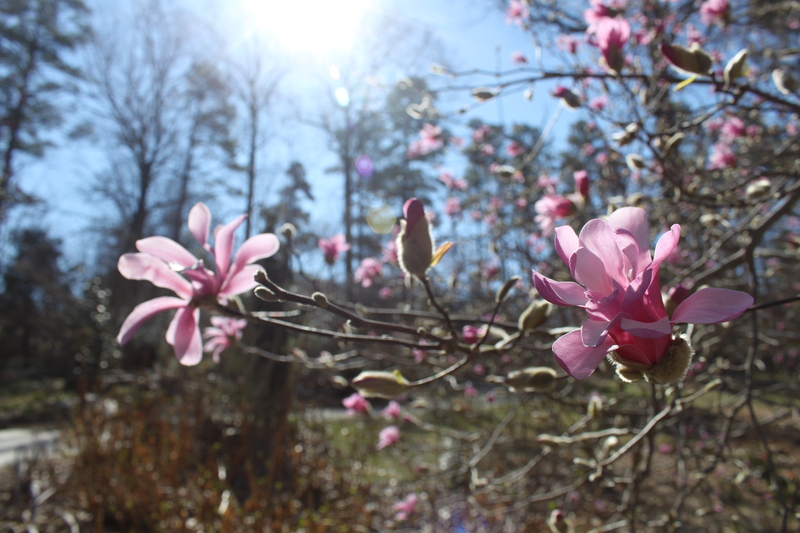 Sarah P. Duke Gardens – Free and open to the public, this garden began in the early 1930s. Located on Duke’s West Campus, there are many species of plants organized by region, ponds, and spots for sitting down. A great location for walking, reading, and enjoying the outdoors. Garden hours are from 8am to dusk and it is open year round ($2 parking fee). 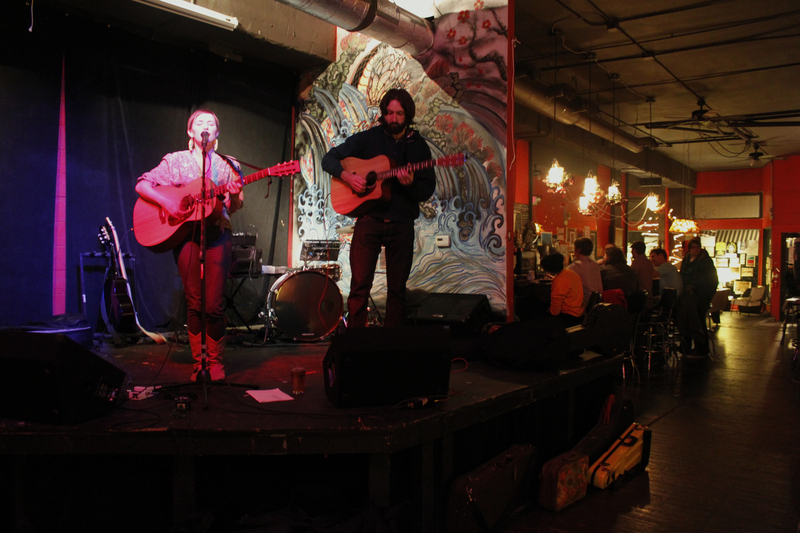 The Pinhook – A great bar and music venue on Main Street in downtown Durham. Cozy, warm atmosphere, arcades, and events like movie nights during the weekday. They have an excellent array of bands that stop by such as Vetiver to local bands like Humble Tripe and Justin Robinson and the Mary Annettes. Check out their website for drink specials and if you like light beers try a local draft called Aviator. 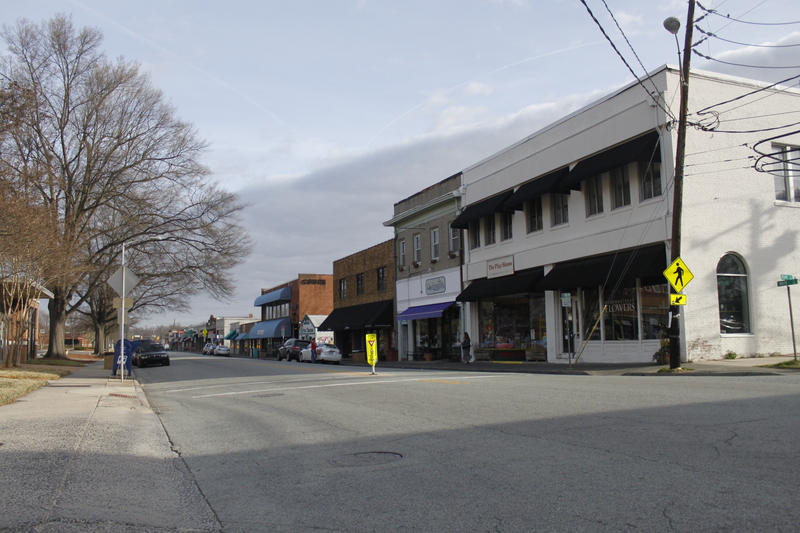 Ninth Street – Durham’s “college town” street. 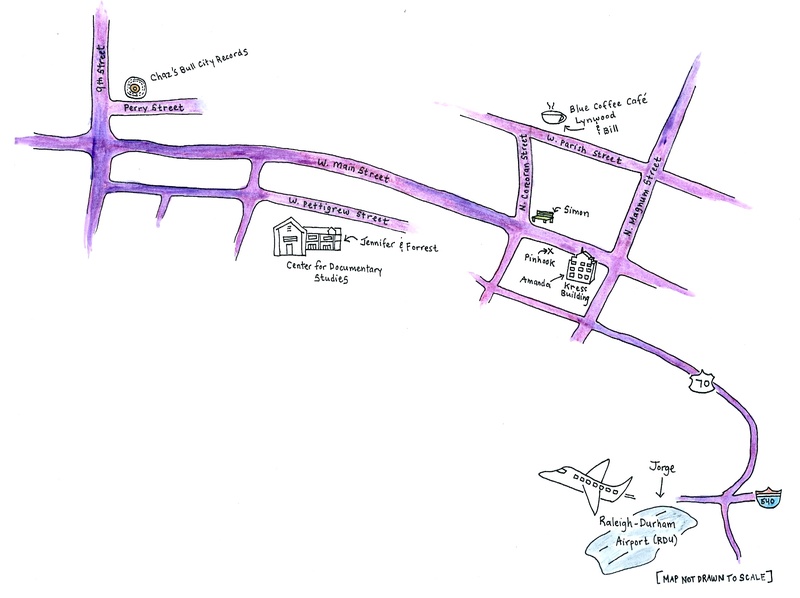 Here you’ll find an assortment of eateries, bars, and merchants. Be sure to stop by The Regulator Bookshop and Chaz’s Bull City Records when you’re in the area in addition to the many other independently owned stores. American Tobacco Company – Many of the old tobacco and textile factories have been renovated into eateries, stores, and office spaces. 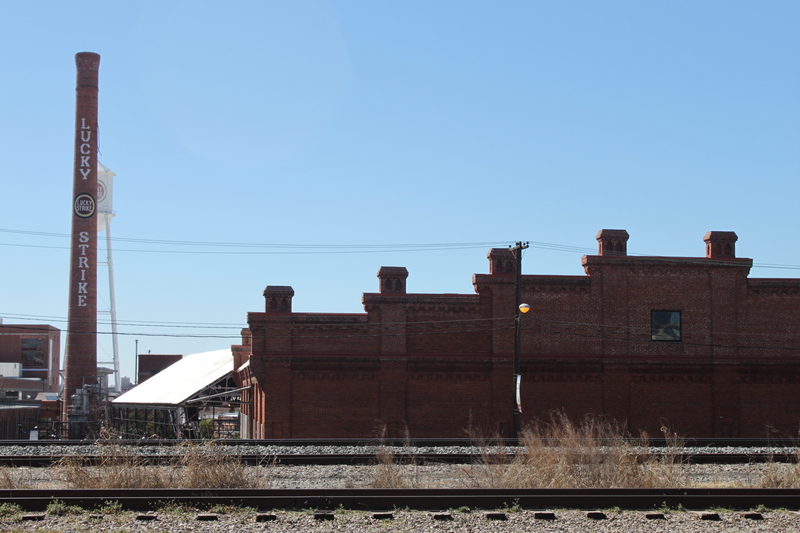 As you walk around town, you’ll see the old brick buildings and ventilation shafts. American Tobacco Company is one of the sites that have been turned into part of Durham’s entertainment district. It’s also home to one of North Carolina’s Public Radio Studios (WUNC). Farmers’ Market – Located at Durham’s Central Park. It’s open Saturdays (April – November) 8am-12pm (December – March) 10am-12pm and Wednesdays (April 20 – September) 3:30pm-6:30pm. Durham Visitor Information Center – For more ideas of things to do in Durham and for free pamphlets and maps of the city stop by the Visitor Information Center. Friendly staff available to answer your questions. Pick up The Independent (a local paper) for listings of events and shows in the area. You’ll find plenty of things to do and get in touch with news around town. A lot of stores downtown are closed on Sundays so plan accordingly. Special Thanks to Amanda Smith and Silus for hosting me and guiding me in Durham. To the Big Shed Production team, Shea Shackleford, Jesse Dukes, and Jennifer Deer, for welcoming me to the Show + Tell Workshop. Dionne Greenlee for helping me arrange housing and workshop logistics. The Kitchen Sisters for encouraging me and helping me make my way to North Carolina. To Simon Ollivierre, Lynwood Jones, Bill Stevens and the Ensemble, Claudine, Chaz Martenstein, Amanda Smith, Jorge Maldonado, Jennifer Deer, and Forrest McCuller for making time to share your stories and to Paul Tran for the brilliant idea of mapping the stories.